A year on from the devastating Earthquake in Nepal comes a heartwarming short documentary ‘Rise of the Artisans’, showing how Nepal’s artisans have never lost their ancient skills and are now rebuilding the sites across the country after the earthquake. The short film is by Britain’s Goodwill Ambassador to Nepal Doc McKerr who who heads up “Return To Nepal”, an independent series of short films that aims to highlight some ground truths around the tourism industry after the 2015 earthquake. It reflects the experiences, knowledge and thoughts of Nepali’s of different ages, backgrounds and parts of the tourism industry encouraging people from around the world to once again consider it as an exciting and beautiful holiday destination. Six months ago I finally got my hands on an imported DVD of ‘Faith Connections’ I found it on Youtube to share with you all. 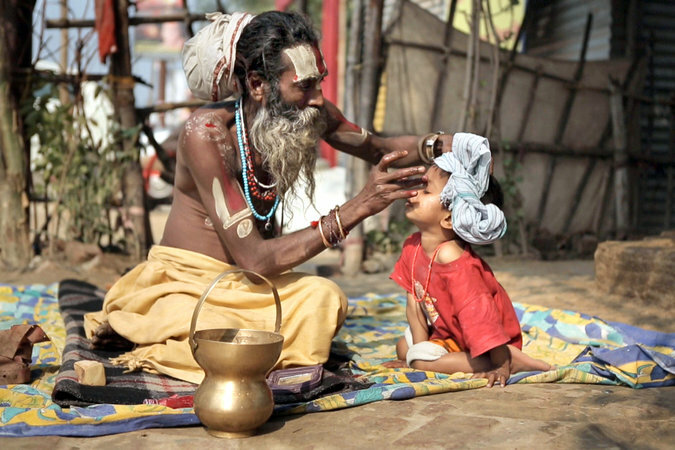 Faith Connections is deeply moving documentary filmed at the 2013 Kumbh Mela in Allahabad in india. This is a remarkably insightful film, full of stunning images and for me up there with ‘Walking with Nagas’ as one of the best documentaries out there based on the Kumbh Mela festival. 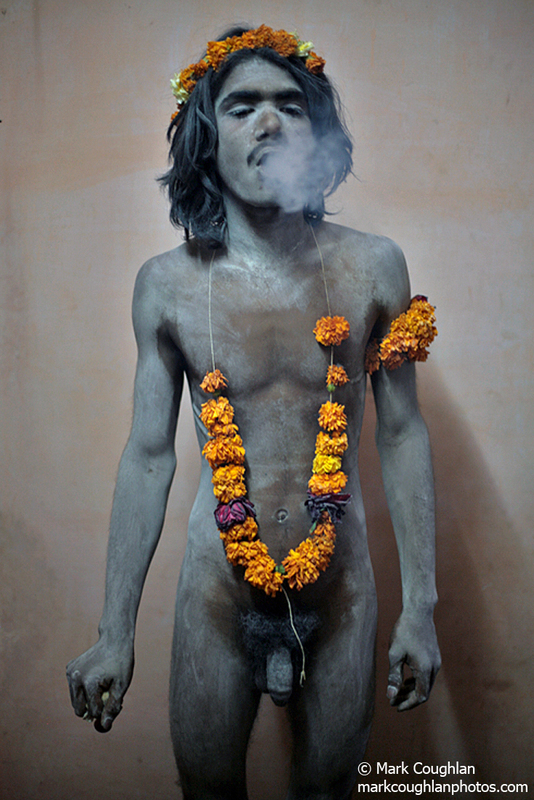 Directed by Pan Nalin ‘Faith Connections’ follows a young runaway kid, a Sadhu, a mother desperately looking for her lost son, a yogi (Hatha Yogi Baba) who is raising an abandoned baby, and an ascetic who keeps his calm by smoking cannabis – all connected by one faith against the spectacular display of devotion. The documentary is two-hours long and is in 8 parts on Youtube with each part following on from each other. I love this video of Druvinka Puri from Juna Akhara performing a puja/pooja with the soundtrack “Jai Mata Kali Jai Mata Durge!”. This seems a perfect time to share! – Happy Diwali everyone! This sounds lush. I would absolutely love to spend a few weeks at a time hidden away deep in the Himalaya close to the source of the river Ganges. Silence, reflection, meditation, complete solitude. Sign me up. This short clip from National Geographic on ‘Silent Baba’ is a sadhu, or holy man, living in solitude and prayer hasn’t spoken for seven years—his chosen form of reverence to the sacred Ganges River. He lives in a humble stone ashram at 14,200 feet in the Himalayan mountains. Taken in 2008 is this image and a wonderful clash of colours, as a woman in a red sari works in the lush green rice paddies near Srimongol, in North-East Bangladesh. 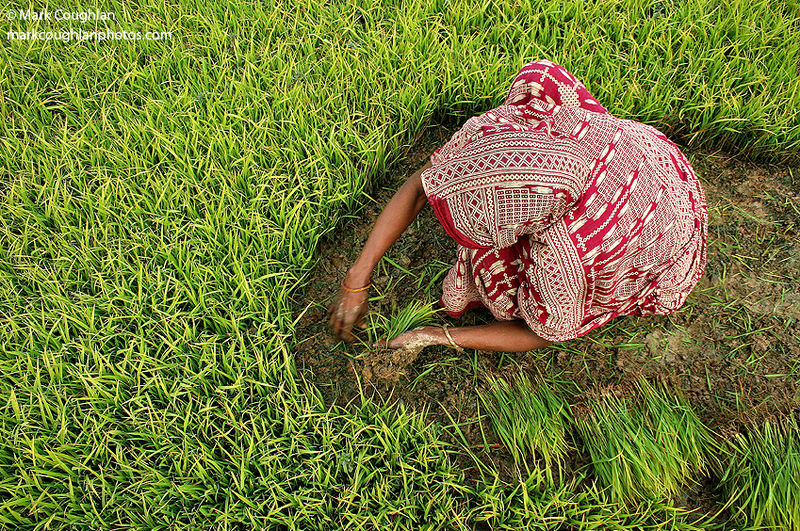 Seeing women work in the fields in rural Bangladesh wasn’t an prevalent as it is in neighbouring India. It turns out the women was recently windowed and said that now has little option but to now work in the rice fields now.